It is the first season of Lions. They will play Preity Zinta’s KXIP to start their campaign with a victory. On the other hand, Punjab side will look forward to improving their condition as what they had in the last season. Punjab came last in the points table in 2015 as they won just three matches in a total of 15 games. Its majority of the squad appears to be same as they have retained David Miller, Glen Maxwell, and Mitchell Johnson. The team would be dependent on the trio to win the upcoming matches to make it at least to the knockout stage. Rising Pune Supergiants and Gujarat Lions came in place of Chennai Super Kings and Rajasthan Royals as they have been suspended for some time. Led by Suresh Raina, Gujarat side will want to kick off their debut season with a win. However, Suresh failed to impress in the recently finished T20 world cup 2016. The team has some good and experienced players. They are one of the favorites this time. Shaun Marsh, Murali Vijay, David Miller (c), Wriddhiman Saha (wk), Glenn Maxwell, Mohit Sharma, Sandeep Sharma, Axar Patel, Kyle Abbott, Anureet Singh, Manan Vohra. Suresh Raina (c), Brendon McCullum (wk), Dinesh Karthik (wk), Aaron Finch, Dwayne Bravo, Ravindra Jadeja, Amit Mishra, Pravin Tambe, Dale Steyn, Pravin Kumar, Pradeep Sangwan. 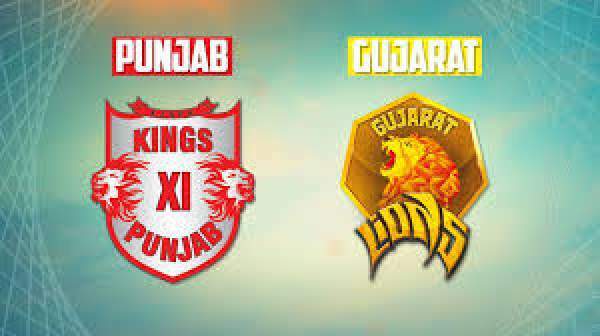 KXIP vs GL is to start at 8 pm IST. In India, Sony Max, Sony Six, Sony ESPN will telecast it while it can be streamed live online on starsports.com and hotstar in India and rest of the sub-continent. For the Singaporean audience, Starhub and Singtel will broadcast the match. While, Cricketgateway.com is the source to watch it in all countries with any restriction for free. The UK audience can get it on Sky Sports and online on Watch Sky Sports. For the rest of the people living in Bangladesh, Pakistan, Sri Lanka, the US, South Africa, Middle East, and the Caribbean, they can head towards Maasranga, Geo Super, Carlton Sports Network, ESPN, SuperSport, OSN Sports, and Sportsmax respectively. Who will win? Share in comments.